Using multiple devices is still very clunky, even with synchronization features like those offered by Google. A startup called Nextbit is looking to change that with a product called Baton. The goal is to make switching from one device to another completely seamless, and it's coming to CyanogenMod soon as a private beta. 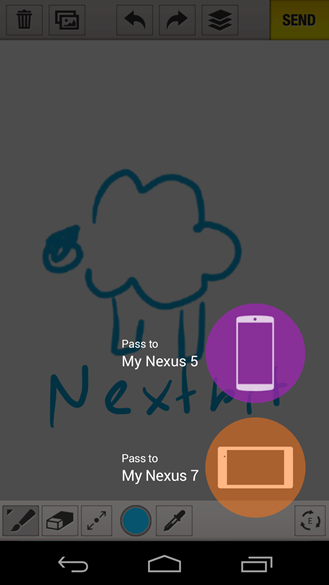 Nextbit Baton has three main features—sync, pass, and backup/restore. The sync feature is capable of keeping your app data in sync across all your devices. So if you're using a fitness app on a phone to track your stats, you can use a tablet to view all that data as it exists on the phone. This is more than restoring app data, which is already possible in Android (though underutilized). Nextbit constantly updates app data across devices, but you can also disable sync on any apps you like. The pass feature is probably the most impressive and is what you see in the video above. A long-press of the app switcher button and you can beam the current state of your app to another device and instantly pick up where you left off. The Nextbit backup service will allow you to store apps and data in the cloud for easy restoration to new devices, similar to Google's new app restore in Lollipop. All the cloud data in Nextbit is kept in Amazon's AWS, and the data only syncs over WiFi to avoid destroying your data cap or battery life. Baton's underlying framework is going to be part of CyanogenMod, but an app will need to be installed to take advantage of it. The first commercial deployment of Nextbit's tech will be handled by Cyanogen Inc. Users interested in getting into the beta can apply on the Nextbit site. 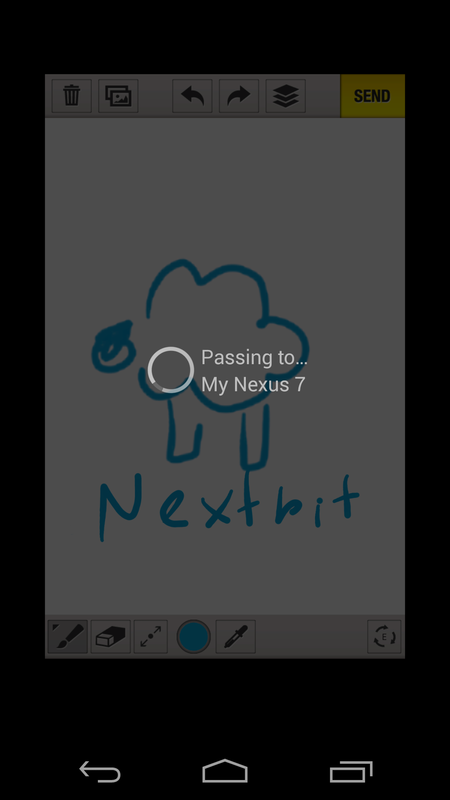 Keep in mind this is for CyanogenMod only. Even other phones and tablets with root access are not invited to the synchronization party. Nextbit could come to other platforms later, but Cyanogen is just the first to hop on board.